ParkInHost provides Unmetered offshore Netherlands 1Gbps KVM Windows VPS services at affordable prices in Netherlands (Amsterdam) with 1Gbps port Speeds. ParkInHost 1Gbps Windows VPS are powered by widely used software Virtuozzo Controlled by Parallels Power Panel. Virtuozzo virtualization provides better performance, scalability, density, dynamic resource management, and ease of administration than the alternatives are few advantages in ParkInHost 1Gbps Netherlands KVM Windows VPS. ParkInHost's are the Best Virtual Private Server hosting service providers in Netherlands (Amsterdam). ParkInHost's Netherlands Unmetered 1Gbps KVM windows VPS hosting service comes with a Superior connectivity with Unmetered bandwidth at very Affordable Price and Instant setup providing 99.98% Up-time with Quality Services at fully redundant fiber network and our team of Linux specialists. All ParkInHost's Netherlands Unmetered 1Gbps Windows VPS hosting plans are hosted on Xeon - E3 1230 or Xeon - E5 servers and setup Instantly. Any add-on management services will be provided within 1-6 hours of order placement. 1 x IP Address : € 3.00/mo. Additional CPU : € 5.00/mo. Additional HDD Space : € 1.00/10GB/mo. Additional RAM : € 5.00/512Mb/mo. CPanel Domain License - Unlimited Domain € 11.99/mo. DirectAdmin License - Unlimited Domain € 11.99/mo. Plesk Panel (10 domains) € 11.99/mo. Plesk Panel (100 domains) € 28.99/mo. ParkinHost provides 15 Days Money Back Guarantee on Shared Hosting, Re-seller Hosting and VPS services. Fore More information visit here. We provide 24x7 support to our Netherlands Windows VPS clients via mails, support tickets and 16/7 level 1 Technical assistance through our live chat support. ParkInHost promises to maintain 99.9% network and server up time service level. Percentage is a monthly figure and is calculated solely by ParkInHost. ParkInHost provides Full root access to our Netherlands Windows VPS clients, where clients can access Windows VPS via Putty or SSH through SolusVM Control Panel. Netherlands Windows VPS are setup Instantly. Details of VPS will be sent across to the registered email Id once the payment process is completed & verified by the client. 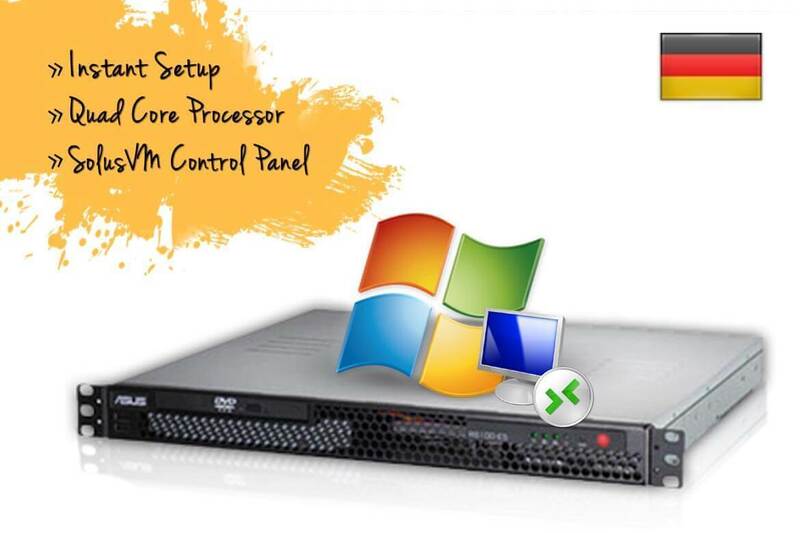 Netherlands Windows VPS are setup on High end Quad Core Processors with 32GB RAM setup to main hardware node for stable and high performing VPS.